With opening day right around the corner, we’re getting our game faces on. 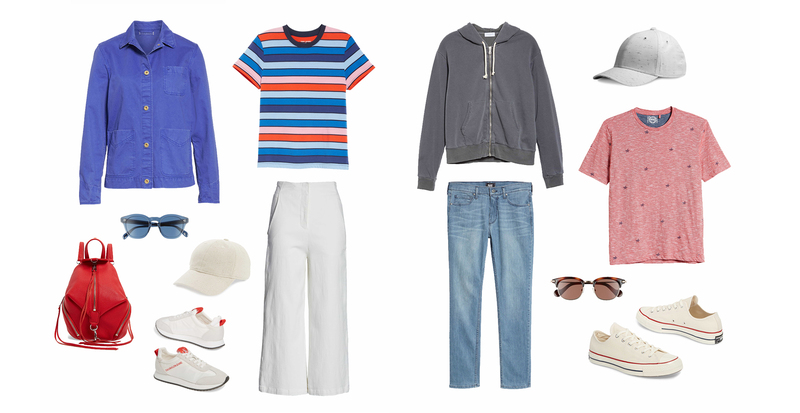 Whether you’re a superfan watching from behind home plate or prefer to socialize in the outfield seats, we’re sharing two his-and-hers looks that are sure to win you a fashion homerun. Keep scrolling for our ballpark picks. When you’re at the game, the last thing you want is an uncomfortable outfit that’ll restrict you from enjoying all the hot dogs, beer, and peanuts your heart desires. Our recommendation? Going with comfy classics. 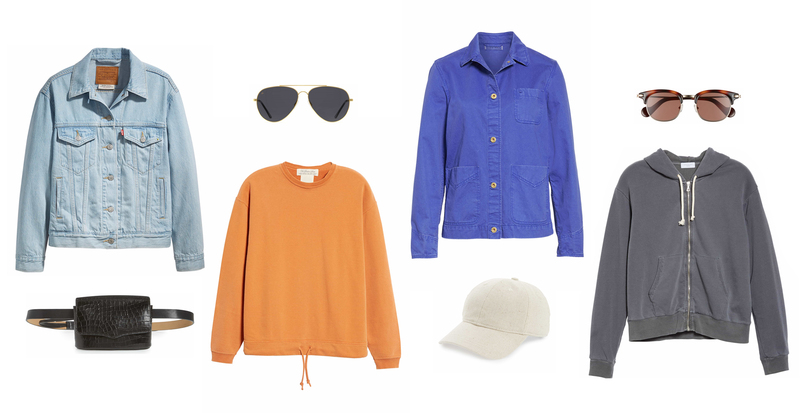 We’re playing up the casual-cool vibes of these looks by starting with organic fabrics like denim or linen, which serve as the outfit’s MVP. 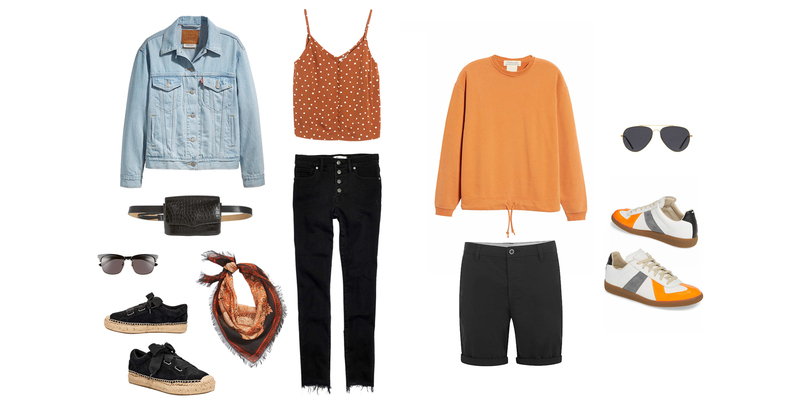 Pair your bottoms with a soft shirt and then top with a coordinating third piece, like a hoodie or lightweight jacket. Not only do these pieces help bring the look together, but they’ll also come in handy when temps begin to drop in the evening. Until then, don’t forget to apply a generous amount of SPF, and make sure to bring a hat and sunglasses to protect yourself from the sun. With luxury seating comes the opportunity to get a little trendier with your game-day threads. For an elevated look that still incorporates an undeniable amount of team spirit, we suggest coordinating pieces in your team’s colors. You can go all out, like we did with the men’s look, by choosing essentials in your team’s colors and pair with shoes that tie everything together. If you prefer a more subtle approach, try mixing patterns. As shown with our women’s look, boldly colored accents can channel the perfect amount of enthusiasm while still being stylish. Wherever look you choose to watch the game in, you’ll prove that you don’t need a jersey to show your team spirit.